The trading of Japanese and Chinese porcelains began in the early 18th century. 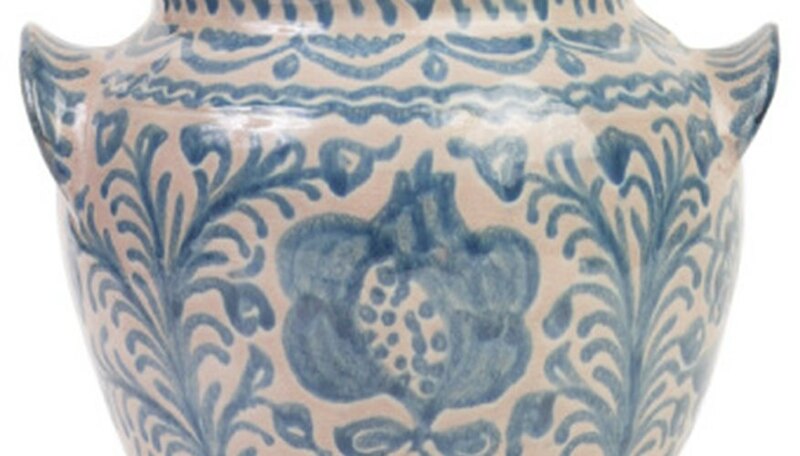 Chinese and Japanese pottery and ceramics were particularly popular in France. It became a status symbol for people to display the works in their living rooms and parlors. This surging popularity in Chinese and Japanese ceramics led to many collectors mixing the styles in their homes. It is important for the modern day collector to be able to recognize the characteristics of each nation's ceramics in order to ensure accurate purchasing and display. One of the most telling ways to distinguish whether or not your jar is of Chinese or Japanese origin is to examine the rims and borders of the piece. In the Chinese style, the border is typically decorated in the Ruyi fashion: a colorful, decorative border about one inch in width. The Japanese style does not have such an elaborate border. Instead the Japanese style features a thin, circular pattern that is reddish brown, green or blue. Another striking difference between Chinese and Japanese ceramic work, particularly in jars and vases, can be found by examining the interior of the piece. First, there are differences in texture. In the Chinese style the texture is completely smooth, while the Japanese style favors a texture like that of an orange peel. Second, there are differences in the colors used on the interiors of the pieces. The Chinese style is almost always turquoise in color, whereas the Japanese style uses navy blue, dark yellow, gray or green. Porcelain and ceramics from Japan and China were marked in some way by either the craftsman or the distributor. Collectors are almost always able to locate the mark on their piece, but have difficulty in translating it. Rightly so, as there are over 1,500 known marks used for Chinese porcelain alone. However, the characteristics of the mark can be an indicator of country of origin. Chinese marks typically have an even number of characters about the same size. Japanese marks are more irregular with odd numbers of characters usually of different sizes and colors. The enameling techniques that characterize Japanese and Chinese porcelain were invented in China. The Chinese had exclusive access to enameling materials due to a trade restriction on Japan; however, two centuries after China began enameling the Japanese started doing it. They excelled at it, developing several different enameling techniques. The Totai technique uses a brown tree bark texture as a finish.The Ginbari technique uses brighter, more translucent enamels. The Akasuke technique uses a transparent enamel that results in a red color when finished.